Add some sweet berries to your summer! 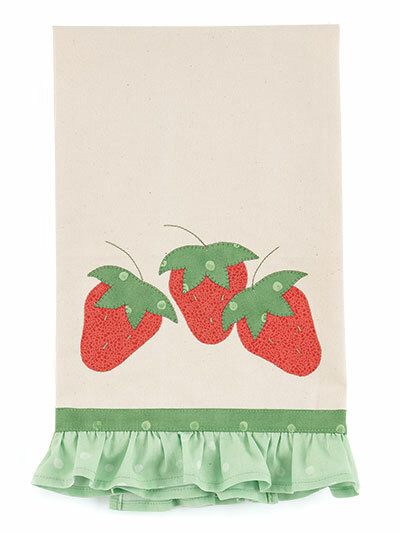 Nothing says summer like a bowl of sweet, juicy strawberries! 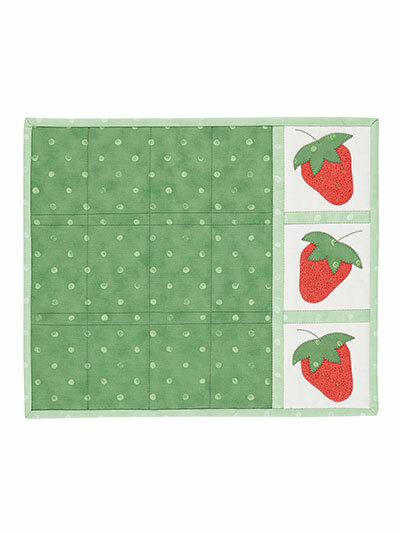 These simple appliques enhance a place mat, coaster and ruffled tea towel for a coordinated kitchen set. 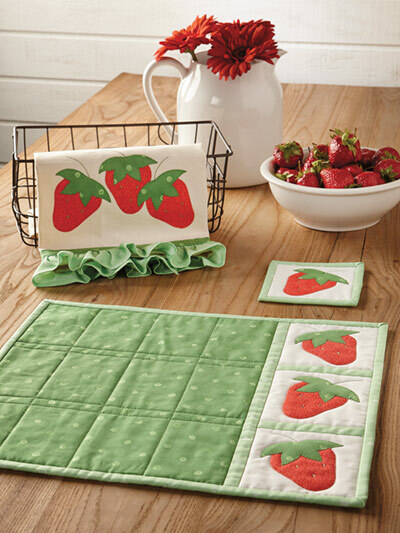 Place Mat: 13 1/2" x 16"
Coaster: 4 1/2" x 4 1/2"
Tea Towel: Size of purchased towel"
I thought this is a beautiful project. I haven't begun making it yet but it would be nice if the projects could include where to find certain items. 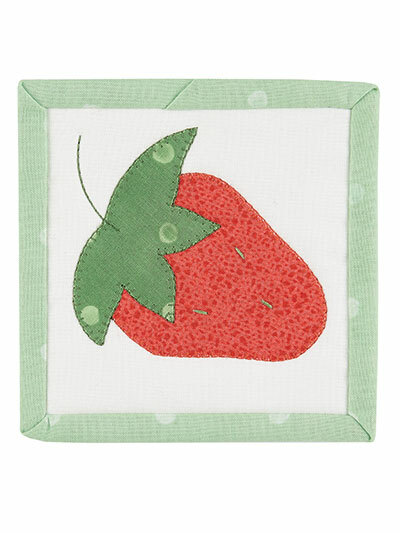 For instance the tea cloth I had a difficult time finding and the one I found does not match what the picture depicts. Otherwise this is a stunning project which I look forward to making in the near future. love the pattern but I am having trouble finding the fabric. 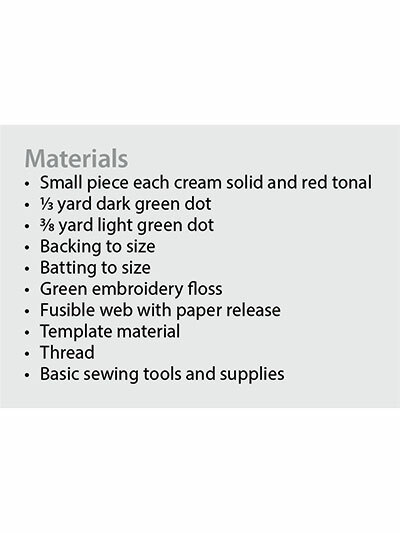 who manufactures the greens used in the pattern?